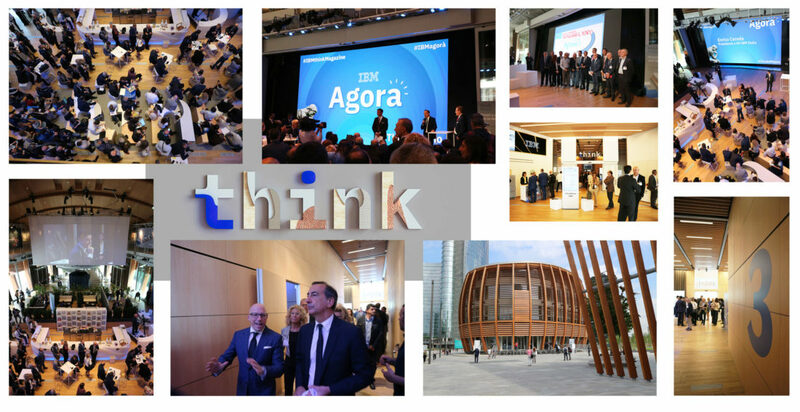 S64 architects took part in the set-up of this important event and is pleased to invite you to get to know its own work, along with the interesting opportunity that IBM offers, from the 5th to 12th of June, at the UniCredi Pavilion, in Piazza Gae Aulenti in Milan, where the IBM’s event – “Think Milano” – is taking place. It will be possible to freely access the pavilion to participate in the daily sessions to discover the world of IBM that include business sessions, networking moments, experiential showcases, demos, hackathons, moments of education and entertainment on the themes of innovation, participating as well technological evolution that is investing, not only the business world, but also our society. It will be possible to know and above all to directly experiment with technologies such as blockchain or artificial intelligence. At this morning’s appointment, Wednesday 6th of June, Agorà 4.0, thinkers and innovators took part, sharing reflections and ideas that look to the future from the present. Among the interventions that of the Mayor of Milan, Giuseppe Sala, and several directors of the main Italian newspapers.